What is Ngo Cho style? and Xuan Nu – the female monk believed to have advanced the science and medicine of pressure points. What should I know about Sifu Dan? Sifu Dan started practising Ngo Cho in 1975 at the age of 17. As a quick learner, Sifu Dan was easily able to learn the 6 empty forms that normally take 3 years to master. He was a dedicated student who never missed any exclusive classes conducted by Grand Master Dr. Lo King Hui. At the age of 19, Sifu Dan competed at the National Open Style Martial Art Tournament, sponsored by the Sports Development of the Philippines. With no experience in tournament fighting, and as the youngest fighter participating, it shocked everyone when Sifu Dan defeated the defending champion with only 2 years of Ngo Cho training. As the new champion, Sifu Dan continued to defend his title from 8 challengers from 1977-1978. Sifu Dan finally retired from active public full contact sparring undefeated in 1983 when he was promoted and awarded the Quality Chief Instructor certificate from his school, Philippine Kong Han Martial Arts Club. In 1995, Sifu Dan brought his family to Canada and began teaching Ngo Cho to students within Canada in 2000. In 2008, he was awarded the 8th Dan by the International South Shaolin Wuzuquan Federation in Quanzhou China. In 2010, Sifu Dan introduced Ngo Cho to Sao Paolo Brazil, Ohio USA, and to Lillehammer Norway. Sifu Dan’s mission, as well as his devoted pupils’, is to revive the traditional form of Kung Fu based on the five ancestors of the Ming Dynasty. 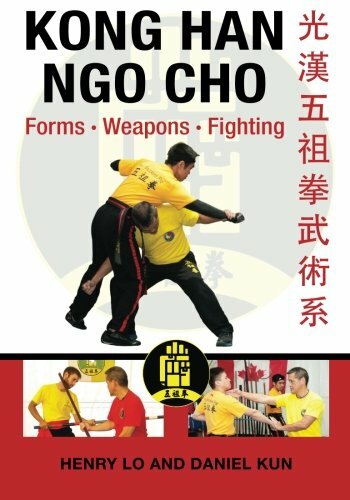 Our hope is that others may find enjoyment in the knowledge and technique of Ngo Cho style of Kung Fu and for it to become a globally respected and practised form of martial art. We would love for this style to be accessible by everyone.